· Plan a Get together with your counterparts. Social media marketing can be chosen as the best and appropriate way towards promoting your business as it is a good place to promote your business and products. Social media provides links to interact with associates, existing customers and new ones. It has a special feature of checking the location before searching for a product. Based on the locations, products and their deals will be shown, which makes marketing process more interesting. Facebook is more detailed when compared to Twitter. In this the product is allowed to arrange for photos, videos, and overextended explanations. Videos help the viewers to understand the product better, as in the uses, benefits and more. You can also include reviews and testimonials so that the other users can comment or share their opinions about the product. It links back to the product’s Twitter page also gives event reminders. Facebook promotes any product to a great extent and brings in sales. Blogs permits an enterprise to offer extended descriptions of their products or amenities. In this companies need to take the permission of the website owner to promote their product. In Instagram, various users share photos relating to a particular product on their own profiles or on other social networking sites with the idea of promoting their business. YouTube completely follows the tastes and traditions of customers in promoting business. Here the company owner posts some sponsored links relating to a particular product, so whenever a customer searches for a particular product it will display a promotional video which stimulates their business. COBRAs and eWOM are some other social networking sites which help companies to advertise their products in different ways. eWOM stands for electronic word of mouth, which allows viewers to write reviews about a product such that it helps others to know about it. COBRA is an acronym for Consumer’s online brand related activities, where in the pictures related to particular product are uploaded in order to get a clear idea about it and increase sales. What is your view about the role of social media in promoting business? Have you promoted any business effectively with Social media networks? Let me hear your view, use the comment form below to share your view. Remember to subscribe to my RSS feeds. 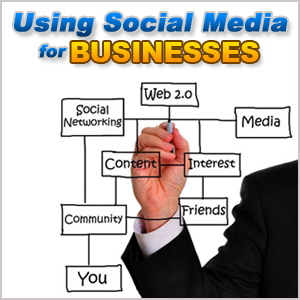 The role of social media in business promotion cannot be over emphasized. Thanks for dropping by. Check the social media section of this blog to see more posts about social media. @Nwosu, i seriously love your blog. How i wish all of us igbos can think like you and create reasonable services(like blogging) just like you’ve did. Now i know that i am not alone in this land. Please i also run eleven40 theme on genesis, please how can i add, “you may also like” pop up on my blog. Thanks for your compliment @ebuka. to add the “you may like this flyout” use a plugin called nRelate. It’s amazing how the internet is metamorphosing, 10 years ago, who would have taught social media would be this important?